If you had asked whether I needed an owl tree house before I’d discovered Spanish designer Intre on Etsy, I would have said two things – “No” and then “What’s an owl tree house?!”. After seeing these gorgeous felt creations, I think I’d quite like The Tree of Owls and I’m sure my kids would enjoy playing ‘houses’ with the adorable, kooky little birds. 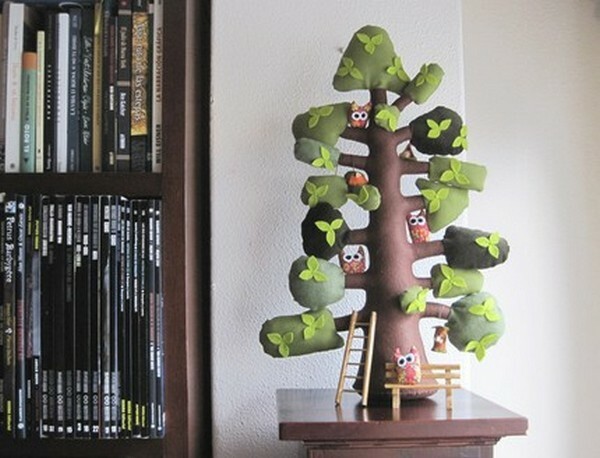 The tree comes complete with owls, birdhouses and a little wooden bench seat for US$110. Also available are superb felt oak trees, felt bunnies sunbaking under a felt palm tree and sweet decorative felt houses.